Power Function Available: Tilt & Power Stand Up Mechanism. 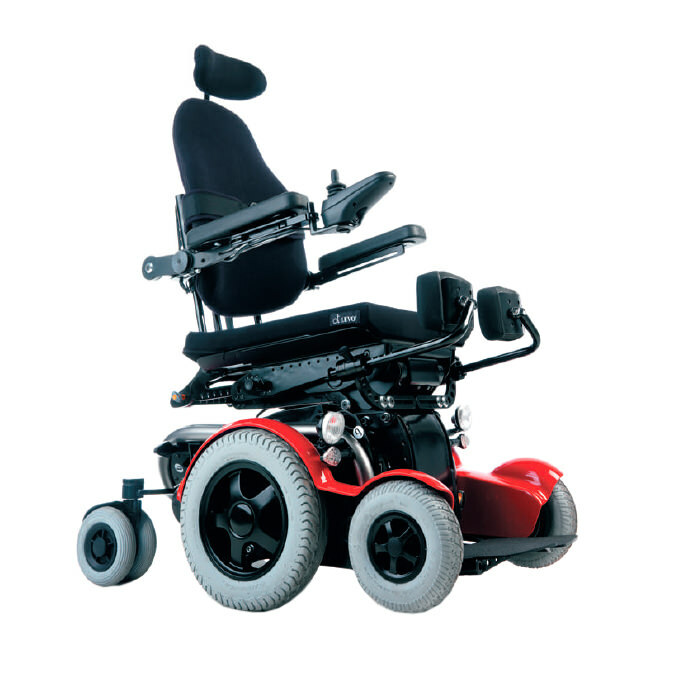 Levo C3 standing power wheelchair is compact, agile, easy to handle and extremely powerful four-wheel drive wheelchair. 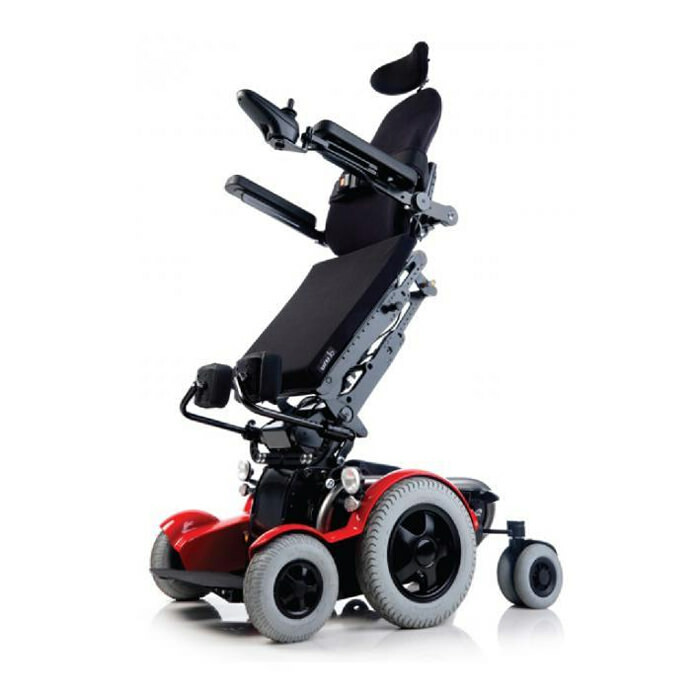 C3 power wheelchair is perfect for active people on the move. 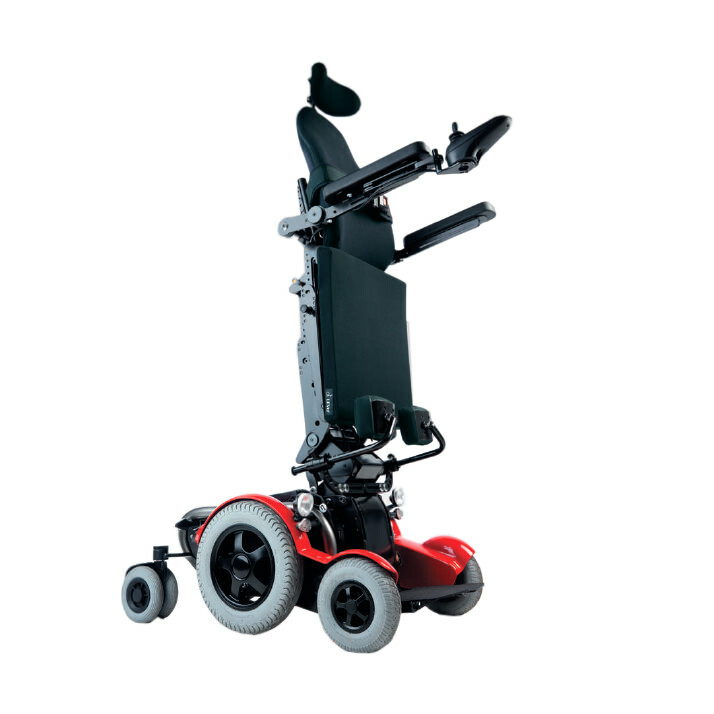 The Levo C3 wheelchair's drive system turns a maneuverable mid-wheel base into a powerful, climbing 4 wheel drive action base. The Levo C3 wheelchair is ideal for classroom, work or home. Levo C3 gives the client a tight turning radius and agile maneuverability of a mid-wheel base and at the same time incorporates a new generation advancement in the famous Levo low shearing standing systems. Incredibly smooth transition to standing including the automatic wheel base adjustment. Now you have a front wheel drive base for unparalleled driving stability and response in the standing position. Crawls over curbs up to 4"
User weight up to 310 lbs. Seat width 12.6" up to 20.5"
Seat width (SW) 12.6" / 14.2" / 15.7" / 17.3" / 18.9" / 20.5"
Total height (incl. V-Trak 16.1") (H) 39.4"
Seat height (w/o seat cushion) 18.1"
Seat plate depth 13.8" - 24.8"
Arm rest height 5.9" - 14.1"
Max. chair weight 407 lbs. Max. user weight 310 lbs. Transport volume max. 37.8" x 24.8" x 27.1"